12/18/2014 - Slide presentation by Prof. Danny Raz at ManSDN/NFV Keynote 1 posted. 11/27/2014 - Visit our image galery to see pictures of CNSM 2014 in Rio! 11/24/2014 - Slide presentation by Prof. Antonio Liotta at DEP posted. 11/24/2014 - Slide presentation by Prof. Raouf Boutaba at Keynote 1 posted. 11/17/2014 - Conference evaluation form posted. Please submit your feedback! 11/14/2014 - CNSM 2014 and Workshop Proceedings online. 11/14/2014 - 35th NMRG Meeting information posted. 11/08/2014 - Download the Whova app to turn CNSM 2014 into a productive networking experience! 11/05/2014 - Distinguished Experts Panel posted. 10/24/2014 - Information regarding the Social Events, Tours and Transfers posted. 10/19/2014 - CNSM 2014 Preliminary Program posted. 10/18/2014 - Student Travel Grants information posted. 09/19/2014 - ManSDN/NFV keynote speaker confirmed: Prof. Danny Raz, Bell Labs and Technion, Israel. 09/17/2014 - Detailed instructions for the preparation of camera-ready papers posted. 09/08/2014 - List of accepted papers for ManSDN/NFV posted (full papers, short papers). 09/08/2014 - List of accepted papers for CNSM 2014 posted (full papers, Mini-conference papers, short papers). 09/08/2014 - Keynote speaker confirmed: Prof. Deep Medhi, UMKC, USA. 08/19/2014 - Keynote speaker confirmed: Prof. Scott Shenker, UC Berkeley/ICSI, USA. NMRG meeting confirmed. For more information click here. Online registration is now open. Register early to get the best rate! Keynote speaker confirmed: Prof. Randy Katz, UC Berkeley, USA. Information about ManSDN/NFV 2014 workshop posted. 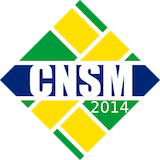 The Organizing Committee is pleased to invite you to CNSM 2014, which will be held in Rio de Janeiro, Brazil, November 17-21, 2014. The International Conference on Network and Service Management (CNSM) is the premier annual conference in the general area of network and service management. It is a forum for presenting and discussing the latest innovations, results and developments in managing networks, pervasive systems, enterprise and cloud environments. 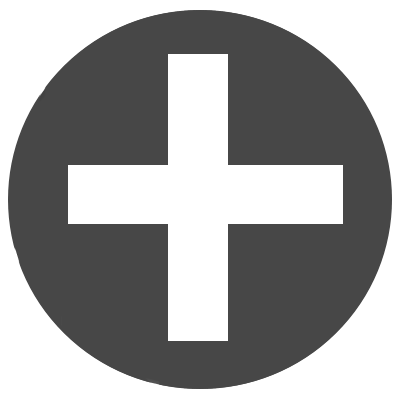 CNSM is technically co-sponsored by IFIP, IEEE Communications Society, and IEEE Computer Society. It is a single track, highly-selective conference attended by foremost experts in this area from academia, industry and government. In its 2014 edition, the conference will host the 1st International Workshop on Management of SDN and NFV Systems. For information about recent CNSM conferences, see CNSM 2013, CNSM 2012, CNSM 2011, and CNSM 2010. To contact the CNSM 2014 organization team, send an e-mail to cnsm2014@inf.ufrgs.br.